You are here: Home / Articles / What’s Your Memoir Worth? Over the years I’ve had quite a few clients who’ve expressed their frustration, sadness, and sometimes shame that their writing wasn’t bringing in any money. It’s a real concern for a lot of writers who carve out time, shell out lots of money for support (coaches, classes, conferences), and who may end up self-publishing and paying even more for their work to get published and out into the world. Despite these niggling feelings of guilt many writers get from time to time (or maybe they plague you), there’s another competing force: the call to write. And then you find yourself in a bind—a pull between the belief (or maybe even a judgment) that your writing isn’t worth anything until you earn money from it, and the desire to just be with your writing, and all the joy that you know lies beyond the place where the critics loom. It can be tough to get there for sure, but do try to hang on. To start with, reframe what your writing is for you. Perhaps you can think of it as therapy (especially all of you memoirists!). Or education. I’ve had clients tell me that their one-on-one work with me was more valuable than an MFA. (I’m not suggesting this is the case for everyone, but I know a lot of people who’ve gone through expensive MFA programs with not much to show for it.) Or maybe it’s just your personal retreat, like a spa. Maybe you can think about gifting yourself the time and resources you put toward your writing because you’ve earned it. Because in addition to making you a better writer, it completes you; makes you more self-aware; makes you a better person. I don’t think I’m going too far here, even by a little. Your memoir has a life force of its own. If you’re writing one, you know. You can pile your resentment upon it, or you can come to it with an open heart and mind. Sometimes you might do both in one week, and that’s fine, too. But try to avoid placing upon it the expectation to earn you a living. Maybe it will make money for you somewhere down the road, and maybe it won’t. Maybe you think time well-spent needs to be about producing, or more specifically about making money. Maybe you’ve been taught that anything valuable is measured by how much it earns. But I assure you that with your memoir this is not true. And yes, some writers do get big money for their books, and it’s great to visualize this—even plan for it. But no matter what, while you’re writing (and especially if you’re actually working to become a better writer), you will shovel out the money and shovel out the money. And so I encourage you to think about your memoir as a high-maintenance child or friend, whom you spend a lot of money on but who gives you much more in return than monetarily possible to quantify. What is your monetary relationship with your writing? Good, bad, neutral? We’d love to hear. Good topic. I tell myself I could be spending money on skiing or have some other expensive sport or hobby, and my expenses for professional edits doesn’t seem so huge. Oh this is a tough one though. I love the comparison of writing to a spa, and yes, I think that’s a big majority of the motivation of writers. The “payoffs” are too iffy and potentially minimal to have money or fame be the absolute end. We write for the journey. Having said that, I think most write to be read too. We write to make a living at what we do (or at least hope we do). It’s like a handshake– both parts come together and it’s ultimately satisfying. Not an easy balance. Lots of good points to consider. Glad I stumbled on this. I’ve been following your posts for some time and everything resonates with me, but especially this since I’m knee deep into my memoir. It’s a juggling act for sure. All I can add to the points already mentioned, is the feeling of empowerment I get when I am able to view myself as a character and write as if nobody has ever read before. I am so grateful to be moving progress in this direction. These forward movements are priceless. And when you invest in your writing, you invest in yourself. And who’s more important than yourself? Have you discussed the economics of writing, including how much an author might hope to reap in monetary rewards? What are the typical terms for a first-time author whose book is picked up by a publishing house? I honestly haven’t thought too much about the potential revenue stream, but am currently trying to decide the effort versus cost versus downstream revenue, if any. Good questions, NJ. Typical returns for an author who’s publishing on a publishing house are honestly not very good. Most authors will not earn out their advance in the first year, and if they do, they are doing something VERY RIGHT. 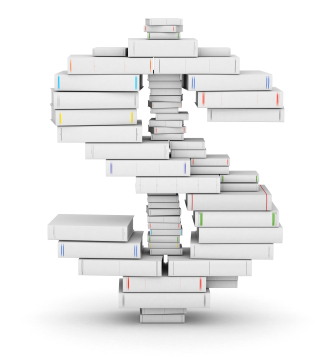 You can pretty much break it down like this: for every book sold, the author earns one dollar. If they got an advance of $10K, then they will need to sell 10,000 books before they earn out their advance and start making royalties. It’s a tough business, and it’s why the economics of self-publishing look really good to some authors—though of course you have to put money up front to self-publish, and pay for your own marketing. But yes, it’s important to analyze all of this before you decide what path to take. Thanks for the good question. digg it and for my part suggest to my friends. I’m sure they’ll be benefited from this web site.